The Walking Dead The Final Season Release Date, Trailer | Nerd Much? Telltale Games has announced the date in which we can expect our hearts to begin being ripped from our chests. The studio released a teaser trailer and a release date for The Walking Dead The Final Season. Today’s trailer is pretty tame, yet effective. Clementine is now essentially an adult taking care of AJ who is probably around 7 or 8 years old. She spear fishing while AJ sits nearby, feet dangling off the tiny creek bridge. AJ asks Clem to stop singing “Row, Row, Row Your Boat” as there is a lyric in the song telling children to scream. Children are no longer allowed to scream. Clementine then sits beside AJ to comfort him, and then has him recite the rules that govern their survival. AJ confirms the dark guidelines easily. 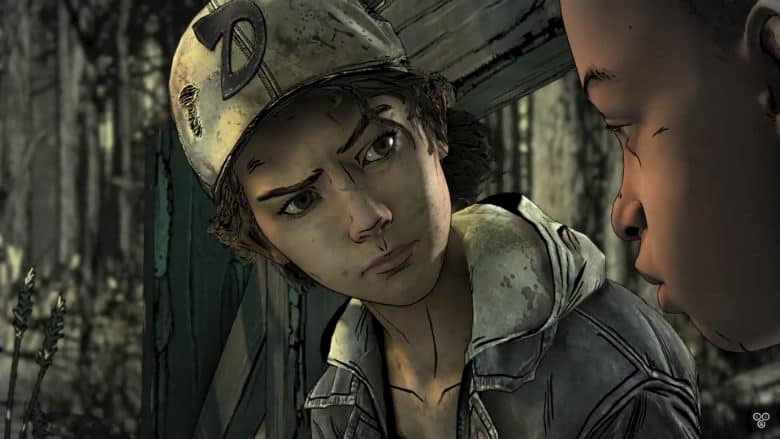 But the trailer cuts off quickly after Clementine asks AJ what he’s to do should she be bitten, insinuating that Clem’s survival could be in doubt come the story’s conclusion. Episode 1 of The Final Season will be available on PC, PlayStation 4, and Xbox One beginning August 14th. A Nintendo Switch version will be available later this year. The season will consist of 4 episodes totaling at $19.99. Players can seek out The Walking Dead: The Telltale Series Collection to find all of the games in one package to help them catch up prior to The Final Season’s debut.